It’s back! Yes, today heralds the return of Sale-a-Bration. What does that mean? Well, it means free goodies! Between 28th January and 31st March 2014, for every £45 you spend you get to choose a free item from the Sale-a-Bration range. These are exclusive products not found in any of the other Stampin Up! catalogues. There are stamps and punches, accessory packs, designer series paper and embossing folders. And I repeat, they are free. There are incentives for hostesses too. If you decide to host a Stampin Up! 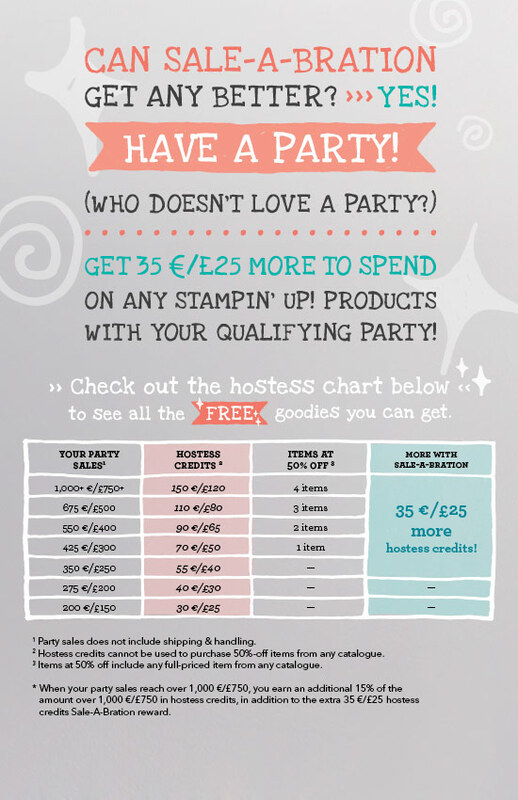 party, you get an extra £25 on top of the usual incentives to spend on whatever goodies you wish. 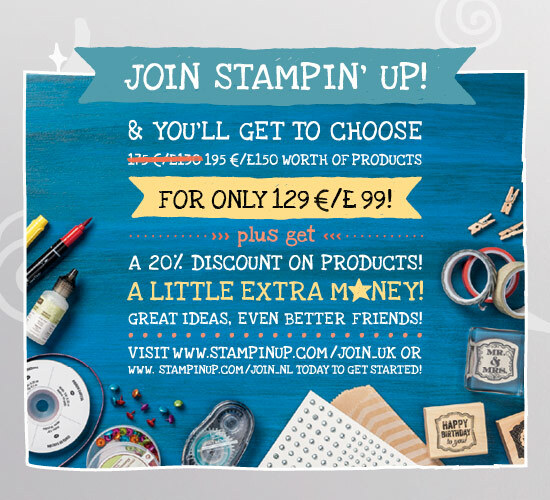 If you want to become a new Stampin Up! Demonstrator, there is an extra bonus for you too. Usually when you join it costs you £99 and you can order up to £130 of products. Instead, during Sale-a-Bration instead you can order £150 worth of products when you join. 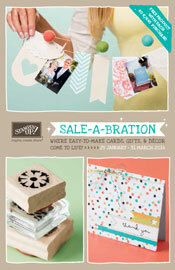 So, whether you are a customer, a hostess or a new demonstrator, Sale-a-Bration has something for you. If you want to have a look to see what goodies are on offer, click the link on the left to take you to the cataloge.